Nokia and MTN announced the launch of the Nokia Lumia 900 Windows Phone today in South Africa. What came with the announcement? Pricing, availability, and even Batman makes an appearance. Read on below for more information. The Lumia 900 will be available through MTN for R369 per month on the 24 month Anytime 200 contract. The same Anytime 200 contract only offers 75 MB of bandwidth, which will become a quick problem for MTN customers. 75 MB of bandwidth does not provide much on such a powerful device. The Lumia 900 will become available across the country near the 28th of June. No details on other contracts through MTN at the moment. On to the surprise Batman appearance! At a branch in each main city, come Lumia 900 release day, there will be 200 Limited Edition Batman Lumia 900 Windows Phones available to the first 200 customers. The following branches are participating in the Batman edition release: Morningside (Johannesburg), Gateway (Durban), Canal Walk (Cape Town) and Port Elizabeth. 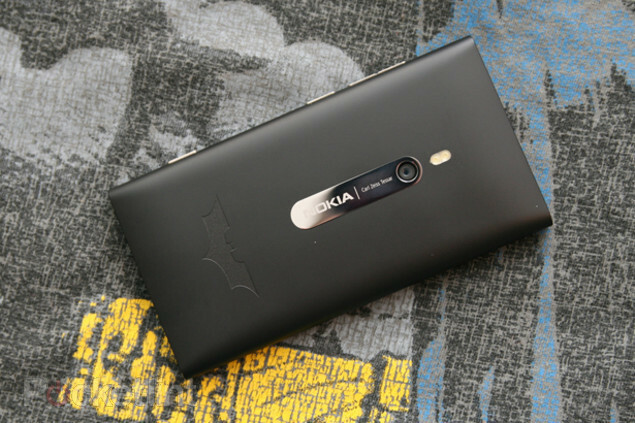 We have an image of the Batman Limited Edition Lumia 900 below.